Because of the number of kits from the United Kingdom’s history (England, Britain, Scotland, Wales, Northern Ireland, etc. ), they can be found on their own page, United Kingdom Kits. 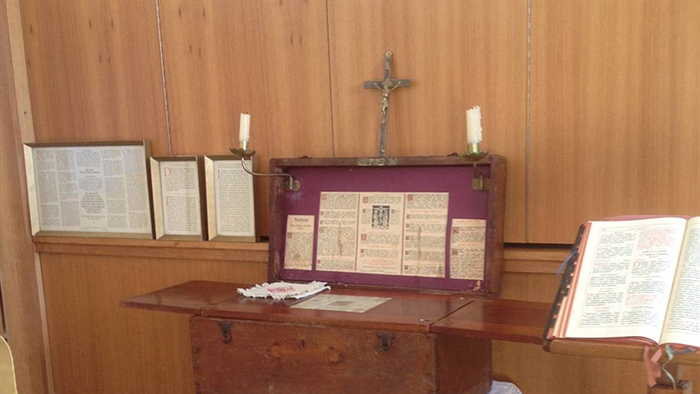 A WW1 French chaplain’s gear to include his chaplain kit, 1916 (photos from Histoiremilitaria 14-18). 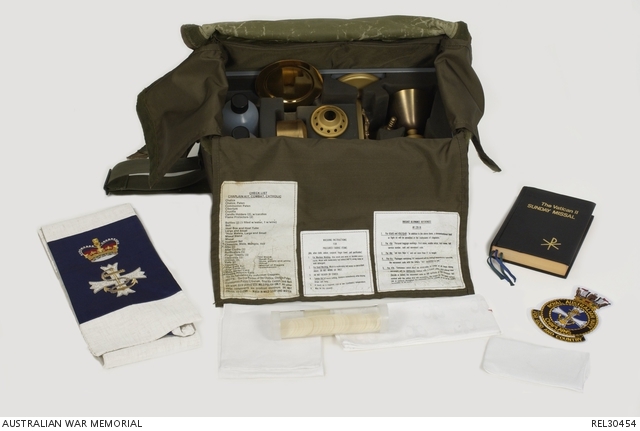 Chaplain Kit used by Chaplain Hannah from New Zealand in World War 2 (photo origin unknown). 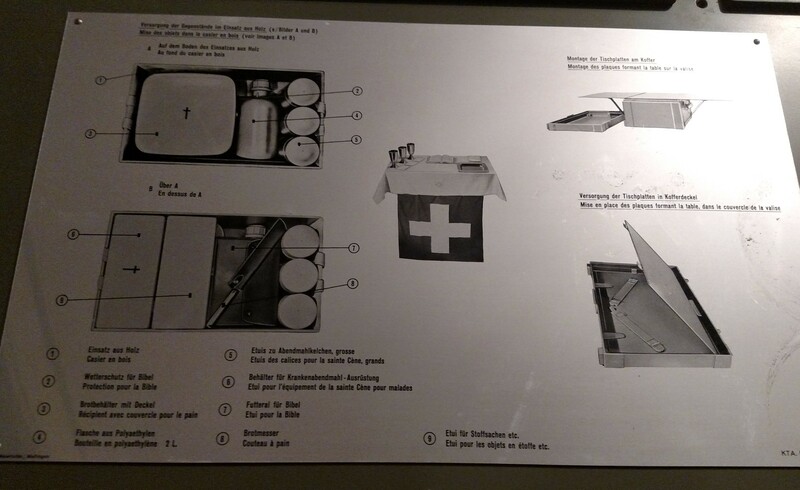 There’s another rectangular box with a cross on the lid that appears to be for hospital, brig or other individual visitation. It has two small chalices, a ciborium and a small plastic bottle.